HAWTHORN "weren't on" against St Kilda, coach Alastair Clarkson says, and must lift to have an impact in September. 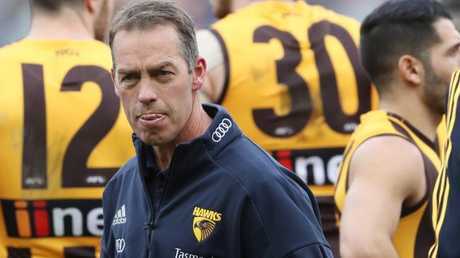 Clarkson admitted he was unhappy with the way the Hawks went about proceedings in their four-point win at Etihad Stadium on Saturdy and said he believed the Saints had deserved to win. "We were a bit disappointed with the way that we played, particularly the last 40 minutes of the game," he said. "To be fair, I think the better side lost tonight. We're very, very fortunate that we've snuck away with four points after the game." 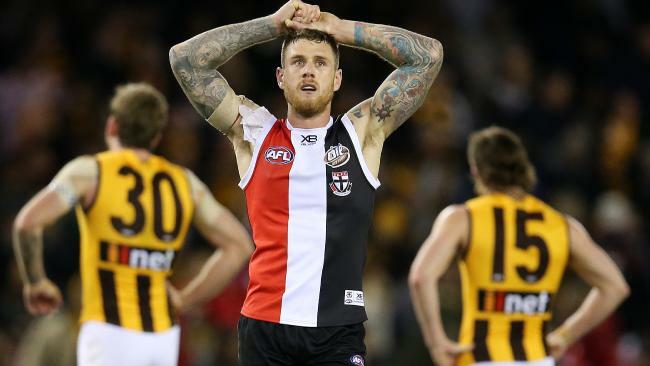 Clarkson said his team had played two "finals-like" games against Geelong and Essendon in recent weeks but "weren't quite on" against the Saints, while St Kilda was "really up for the fight" after a week of media attention. "I'm not sure whether it was the intensity they played or if we were just a little bit off," he said. 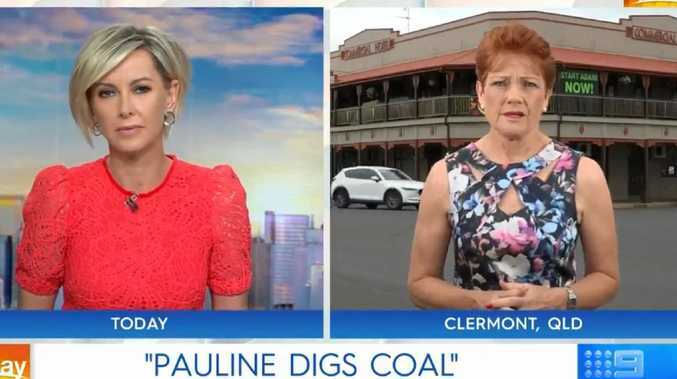 "They forced us to be a little bit off, to be fair." Alastair Clarkson has concerns about the Hawks' form. Now comes a telling few weeks, Clarkson said, starting with a fight for a top-four finish against Sydney next Saturday night. But if they play like they did on Saturday night, Clarkson said it would be "a pretty hasty exit" from September. "We're going to find out a lot about ourselves over the next two, three, four weeks … I'm not sure how long it's going to last," he said. "I don't think it'll last very long if we play like we did tonight." Clarkson lauded the performance of veteran Shaun Burgoyne, a "clutch" performer who he said had the most influence of any player on the ground in the final term as the Hawks hung on. St Kilda coach Alan Richardson said the showing from his team was "better" but he said Hawthorn was the deserving winner.